Day/night, full HD cube camera for indoor use. 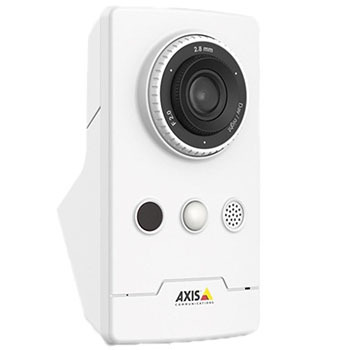 Built-in IR illumination, PIR sensor, microphone, speaker and WDR. Fixed lens. HDTV 1080p resolution at 30 fps. Axis’ Zipstream technology for reduced bandwidth and storage needs. Memory card slot for optional local video storage. Video motion detection. Power over Ethernet. Midspan not included. For use only with AXIS Companion video management software and mobile apps.